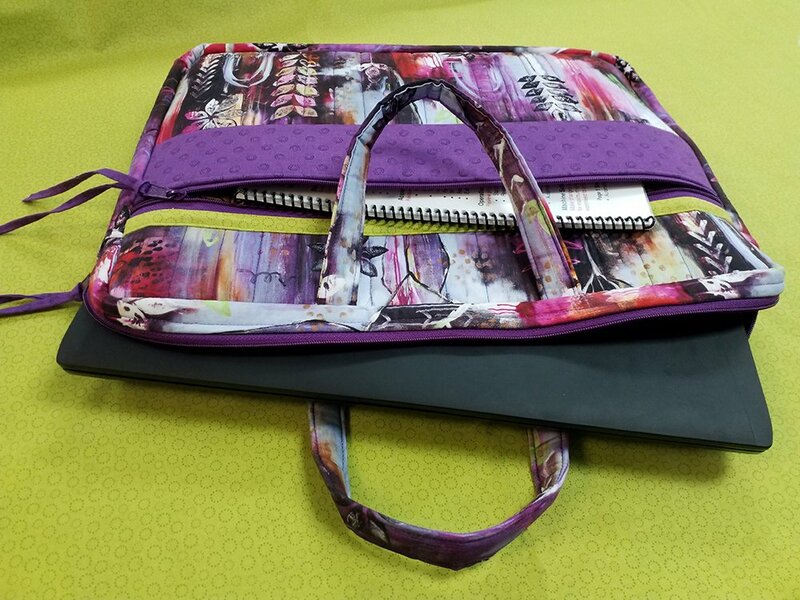 Carry all your business or school needs, including a laptop up to 17", comfortably with this stylish laptop case made in your favorite fabrics and colors! This bag features a zippered closure, front zippered pocket and full inner zippered mesh pocket. Sewing machine in good working condition (dont forget the foot control and power cord)!